All of our classes are supervised by handpicked qualified trainers. 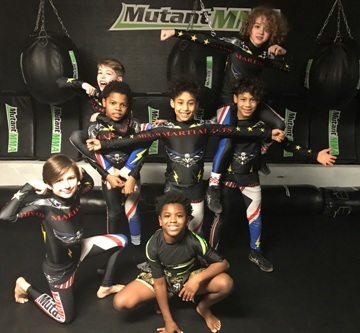 The owner, Tengo Seppy is the head coach at Mutant MMA he has been practicing the individual components of mixed martial artist since 2002. 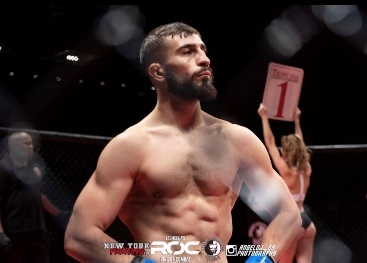 He is focused on training and developing the skills of all our members not just his fight team who, since 2011 has risen to become one most of the dominant teams in the east coast. Tengo’s training is a compilation of whatever martial art is necessary for the member to benefit the greatest. There are many thing in all types of martial arts that only work in the sport version of that discipline. He accomplishes this with the help of the skilled trainers and friends in the industry. He believes that he can make anyone a great competitor. With a combination of technique conditioning drilling and philosophical mindset that is confident that the mind is the most powerful tool in your arsenal. Levan Makashvili is a professional UFC fighter, George is a professional MMA fighter, Tyler is the grandson of Body Building legend Dan Lurie and holds a purple belt in Gracie Barra Jiu Jitsu. Beso Is a world record holder in weightlifting Nick helped to bring Hewlet to its first state championship Sonny well everyone who knows Sonny will follow Sonny he is a gem. Everybody loves Sonny. 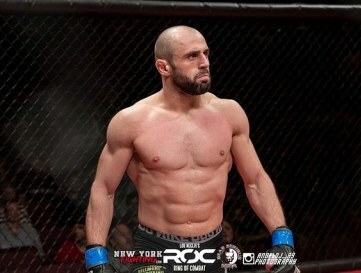 And Last but not least 2 time BJJ world champion and Gracie family standout the one the only Gregor Gracie. Of the Family that created BJJ. Gregor Gracie is a Brazilian professional mixed martial artist and Brazilian Jiu-Jitsu practitioner. He is a black belt in Gracie Jiu-Jitsu and the son of one of the pioneers of Brazilian Jiu-Jitsu, Rolls Gracie and brother of Rolles Gracie Jr. and Igor Gracie. He was an ADCC participant, Brazilian National Champion and Pan American Champion. He is now the only Gracie on Long Island coaching Brazilian Jiu Jitsu. Sonny started practicing the sport of boxing at the age of 15 and participated in the New York Golden Gloves Championships twice. He joined the Army and continued boxing while in the army, in the states and abroad. He won the United States Army European Championships in his weight class while serving in Germany, and continued boxing with the army when he returned back to duty in the States. Once discharged from the Army, he continued to compete in the sport of boxing which spanned a career of 13 years. After he no longer competed, he started his coaching career to give back the knowledge and experience that he got over the years. He loves boxing and still continues to give back and teach all who are willing to learn, be it to compete on the amateur or professional level. As well as for those who just want to learn to box and just get in shape. He is a USA certified Boxing coach as well as a certified personal trainer. Greco-roman wrestling champion of Georgia and International tournament.